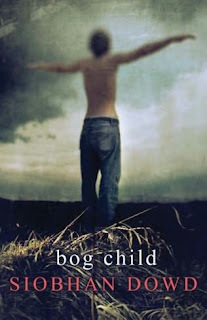 Siobhan Dowd has posthumously won The Carnegie Medal, the most prestigious prize in children’s literature, for her book, Bog Child. In May last year, Siobhan Dowd was named one of 25 ‘authors of the future’. Sadly, she died of cancer three months later at the age of 47. This is a great reading choice to share with a younger teen (12+), as most adult readers will also enjoy reading this masterwork. “DIGGING FOR PEAT in the mountain with his Uncle Tally, Fergus finds the body of a child, and it looks like she’s been murdered. As Fergus tries to make sense of the mad world around him—his brother on hunger-strike in prison, his growing feelings for Cora, his parents arguing over the Troubles, and him in it up to the neck, blackmailed into acting as courier to God knows what—a little voice comes to him in his dreams, and the mystery of the bog child unfurls. This novel is also the winner of three other awards.